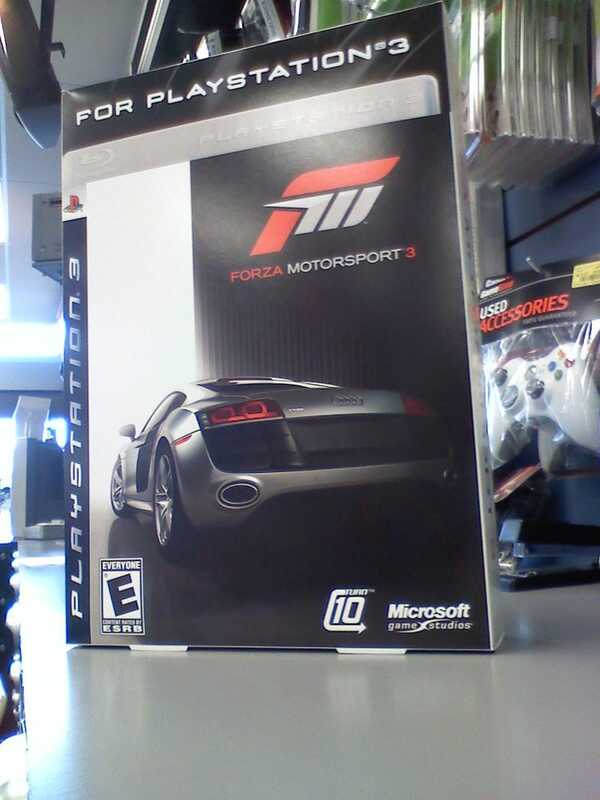 GameStop occasionally puts out these promo boxes to show customers what they can buy in their stores. Or can't, in this case, because I doubt Microsoft Game Studios is developing anything for the PS3 right now. Says one tipster wit: "Not the first time Gran Turismo used Forza art ..."
Thanks to Anonymous GameStopper #1, #2 and #3 for the pics. Three different pictures, I'd say this must be rumor-confirmed territory, right? Right?! So run down there and ask to reserve it. It beats asking if they have Battletoads.